Starting January 1st, 2017, if you choose to use antibiotics for the prevention or treatment of the bacterial diseases American foulbrood (AFB) and European foulbrood (EFB) in honey bee colonies, you will need a prescription or Veterinary Feed Directive* from a licensed veterinarian. Since December 2013 the United States Food and Drug Administration (FDA) has been phasing out the use of over-the-counter antibiotics used for food-producing animals. In an effort to reduce antibiotic resistance in harmful microbes, many livestock antibiotics now require a prescription from a licensed veterinarian. Honey bee colonies (considered a minor food-producing animal) are included in these changes. A honey bee colony is treated with antibiotics. Establish a Veterinary Client Patient Relationship (VCPR). A VCPR sounds a bit complicated, but really just means that a licensed veterinarian must know that you actually keep bees, that you are reasonably knowledgeable about the management of honey bees, and that you have a reason for requesting antibiotics. A veterinarian must physically visit your beekeeping operation to initially establish the VCPR. Follow-up antibiotic requests, however, may not require in person visits to your apiary. VCPRs also mean that your veterinarian can make clinical judgments about your hives and that he/she is able to provide follow-up evaluation or care. Request a prescription or a *Veterinary Feed Directive (VFD) from your veterinarian. You do not need to know whether you need a prescription or a VFD for your bees. A veterinarian will know this based on the antibiotic you use/they recommend. In Florida, a veterinarian will most likely write a prescription for Tylan and Lincomix and a VFD for Terramycin. A VFD can be written for no more than 6 months, whereas a prescription may last a full year. Records of VFD orders/use must be kept by you and your veterinarian for at least two years. Purchase antibiotics. Terramycin should still be available for purchase at your current beekeeping supplier, if the supplier has notified the FDA Center for Veterinary Medicine that they intend to sell VFD drugs (like oxytetracycline). Suppliers will only be allowed to sell you the amount of antibiotics that your VFD is written for. Tylan and Lincomix requiring a prescription will likely need to be purchased from a pharmacy or veterinary clinic. Apply antibiotics. Once you have purchased your approved antibiotics you can apply them to your colony(ies) per label and veterinarian instructions. You as a beekeeper can do this yourself; your veterinarian does not need to be the one who applies treatments. A prescription/VFD written for Terramycin, Tylan, or Lincomix by a Florida veterinarian can ONLY be used in Florida (this is true of all states). Migrating operations will either need to apply these antibiotics while in Florida or establish a VCPR and get a prescription/VFD from an out-of-state veterinarian. A beekeeper cannot simply purchase antibiotics now and use them next year on his/her bees. After January 1st, 2017, a prescription/VFD is required to not just purchase Terramycin, Tylan, and Lincomix, but also to use these products. Additionally, antibiotics degrade and become less effective over time. If you give you bees old antibiotics, you are likely giving them a lower-than-recommended dose. This can lead to the development of antibiotic-resistant bacteria. Not all antibiotics are affected by this ruling. For example the use of fumagilin in bee colonies does not require a prescription or VFD. The new ruling only affects antibiotics that are used for both animals and humans (in this case oxytetracycline, tylosin, and lincomycin). The number of colonies in a beekeeping operation fluctuate throughout the year. With any big changes to an industry there come concerns. This FDA ruling is no exception; a few of these concerns are noted below. If suppliers are only allowed to sell you the amount of medication written on your VFD, we do not yet know what happens when you aren’t prescribed an “even” amount of medication. For example, your apiary is prescribed 1.5lb of Terramycin, but your supplier only sells 2lb bags. You cannot purchase 0.5lb extra and they likely cannot open and sell you a partial bag. The number of hives that one needs to treat can vary widely throughout the year. A beekeeping operation may get a prescription for 100 colonies in January, but by May they have 150 colonies that they need to treat. They only can purchase enough antibiotics for two thirds of their hives. We suggest that when you are establishing your VCPR, talk to your veterinarian about how many hives you estimate to have at the time you plan to treat. Prophylactic treatment (before there is a problem) of animals with antibiotics is not a common practice for veterinarians. Veterinarians may not be willing to write a prescription/VFD for this use. Prophylactic use of antibiotics is allowed under this new ruling, however, there likely needs to be a time limit for when the medication is no longer used in an apiary. It is unsure if continuous use of antibiotics will be allowed. Most U.S. veterinarians do not have the training necessary to identify and treat honey bee diseases such as AFB. They may not know what to look for when you come to them to establish a VCPR or request a prescription/VFD. 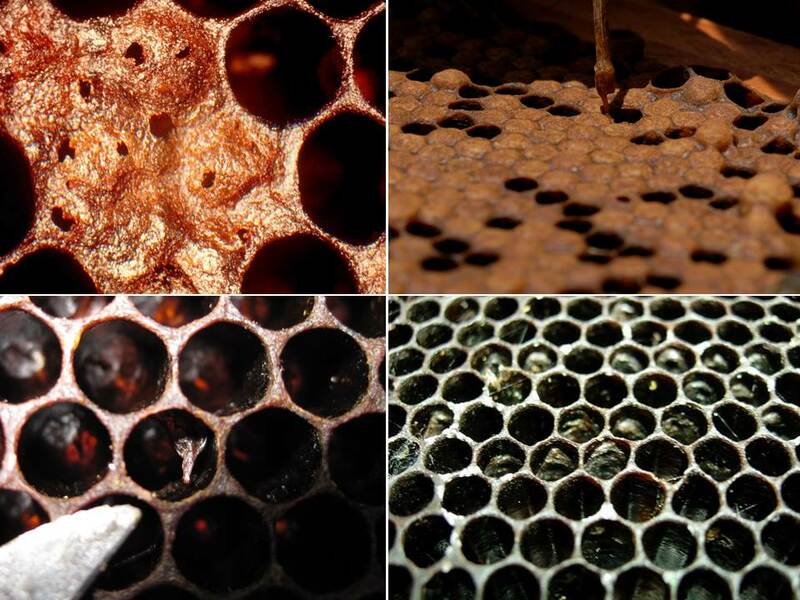 Honey bee colonies burned after being found with American foulbrood. As beekeepers we are constantly bombarded with pests and diseases infiltrating our apiaries. The cycle of monitor-control-treat is continuous, year in, year out. We are constantly on the lookout for Varroa, small hive beetles, deformed wing virus, nosema, and the list goes on. AFB and EFB are no exception. AFB and EFB, spread by the bacteria Paenibacillus larvae and Melissococcus plutonius , respectively, can be devastating to colonies. In both cases, honey bee larvae become infected when they eat food containing the bacteria or bacterial spores (in the case of AFB). 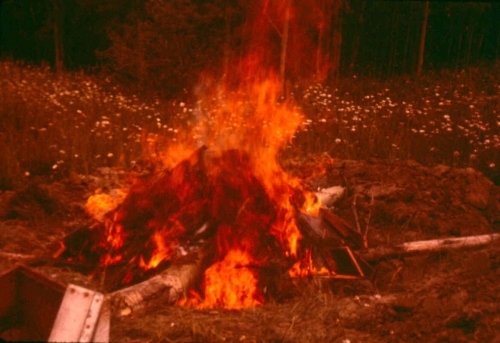 In Florida, the treatment for hives found containing American Foulbrood is to burn the whole colony. 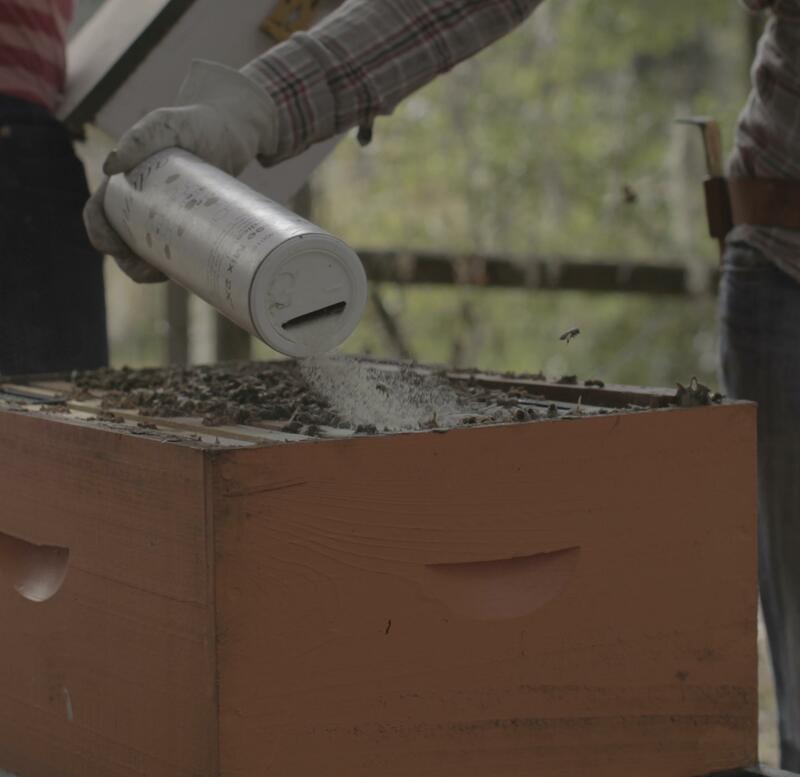 In part because the treatment of AFB is so severe, many beekeepers choose to prophylactically medicate their bees to prevent foulbrood in their apiary. AFB spores are highly resistant to being killed by antibiotics, so treating colonies before the bacteria begin to produce spores is possibly the only way to prevent/treat for AFB. The purpose of this new directive is to slow antimicrobial resistance in drugs that are both fed to animals and are important in human medicine. This may be accomplished by reducing the amount of antibiotics being used for non-disease-treating reasons. For example, some antibiotics are currently used to promote faster growth in certain livestock. The FDA ruling makes it so that, legally, antibiotics can only be used on food-producing animals for the prevention, control, and treatment of a disease. Since veterinarians are already trained in disease treatment for many animal species, and they are licensed by the state, they are the most obvious choice as new regulators of antibiotics for food-producing animals. Since honey bees produce honey (whether or not you harvest your bees’ honey), they too are considered food-producing animals and are thus included in this ruling. For beekeepers: The University of Florida Honey Bee Research and Extension Laboratory and the Florida Department of Agriculture and Consumer Services Apiary Inspection will be working on a factsheet for veterinarians who may be approached by beekeepers for a VFD/prescription. In the meantime, if you as a beekeeper could benefit from a letter to your veterinarian from the UF HBREL explaining the threats of AFB/EFB and the potential benefits or necessity of prophylactic treatment, please email honeybee@ifas.ufl.edu. For an informational video by the FDA overviewing this new ruling, visit http://www.fda.gov/AnimalVeterinary/SafetyHealth/AnimalFeedSafetySystemAFSS/ucm529868.htm. For veterinarians: If you are interested in receiving educational materials or in person training regarding beekeeping, honey bees, or their pests and diseases, please email honeybee@ifas.ufl.edu. For an informational video for veterinarians by the FDA on this new ruling, visit http://www.fda.gov/AnimalVeterinary/SafetyHealth/AnimalFeedSafetySystemAFSS/ucm529920.htm. Have something to say? Join the discussion on our Facebook page. Mary is the extension coordinator for the Honey Bee Research and Extension Lab. 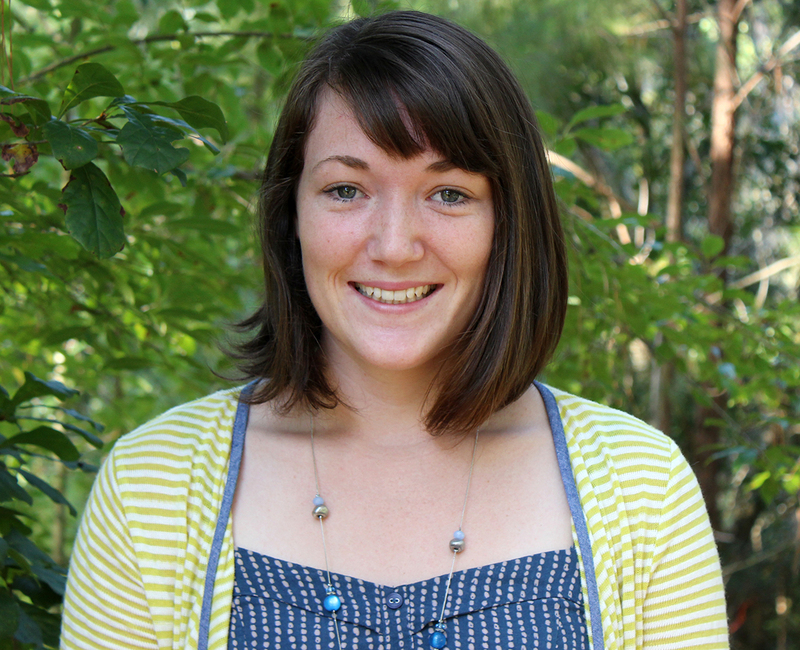 She works to strengthen the direction of the lab’s extension initiatives and is currently pursuing a Masters in Extension Education at the University of Florida.